Yesterday I had to implement a C# method that creates a random generated password in C#. Before committing into it I spent some minutes surfing the web, trying to find something I could use. I stumbled upon this 2006 post from Mads Kristensen, which is a guy I seriously love for all the great work he did with some incredibly useful Visual Studio extensions such as Web Essentials, Web Compiler, ASP.NET Core Web Templates – and a bunch of other great stuff. However, the function I found in that post didn’t help me much, because it had no way to ensure any strong-password requisite other than the minimum required length: more specifically, I need to generate password with at least one uppercase & lowercase letter, digit and non-alphanumeric character – and also a certain amount of unique characters. The random password generated against the Mads function could have them or not, depending on the randomness: that simply won’t do in my scenario, since I had to deal with the UserManager.CreateUserAsync(username, password) method of the Microsoft.AspNetCore.Identity namespace, which utterly crashes whenever the password isn’t strong enough. Using the Membership.GeneratePassword method from the System.Web.Security namespace, which sadly isnt’ available in ASP.NET Core. 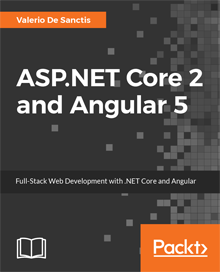 Creating a ASP.NET Core port of the above method based on the official source code (licensed under MIT). /// respecting the given strength requirements. That’s it for now: hope you’ll like the helper method! UPDATE: Since July 2018 this library is also available on GitHub under Apache License 2.0. If you need a C# helper function to check for strong passwords, don’t forget to also read this post. Have you considered them before writing your own implementation ? I would’ve rather extended the 2nd link (which is really awesome) adding my additional feature, but I needed something more compact because I needed to put that generator class in a book I was writing at the time ( ASP.NET Core 2 and Angular 5) and I didn’t want to bother the reader with too much source code.